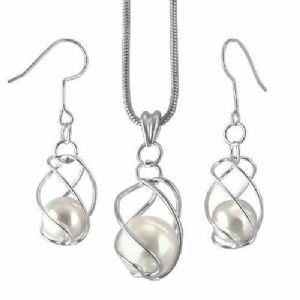 A great looking everyday necklace and earring set of silver plated wire ball with faceted pearl bead. Fastened with a lobster claw clasp. The perfect style for a night on the town! Earrings: Length 4.5cm x Width 1.5cm.